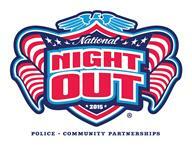 National Night Out is an annual event designed to strengthen our communities by encouraging neighborhoods to engage in stronger relationships with one another and with their local law enforcement partners. The goal is to heighten crime-prevention awareness, build support and participation in local anti-crime programs, and most importantly, send a message that our neighborhoods are organized and fighting back. It’s also the perfect opportunity to get to know your neighbors even better. “National Night Out provides another opportunity for our officers to build community awareness by working together and building those partnerships that last and are fundamental to the safety of our community,” said Colonel David R. Hines, sheriff.